THE CLOUD COLLECTOR'S HANDBOOK fits into the pocket, allowing cloudspotters to identify cloud formations anytime and anywhere. All the common cloud types are represented, as are many of the rare ones, each fully described and illustrated with a range of photographs. Not only is THE CLOUD COLLECTOR'S HANDBOOK an invaluable resource for anyone who wants to be able to identify and understand every cloud that floats by, it also caters for the competitive cloudspotter. Points are awarded for each cloud type identified - the rarer the cloud, the greater points - and there's space to fill in where and when it was sighted. Beautifully designed, in colour throughout, and full of the humour that made THE CLOUDSPOTTER'S GUIDE so engaging, the HANDBOOK is the essential reference for anyone with their head in the clouds. I have several books about clouds because I love learning about clouds. Each book explains clouds in different ways. 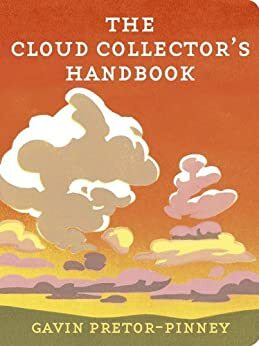 I have The Cloud Collector's Handbook on my Kindle, so was reading it on my last plane trip. What I really liked was the way the different kinds of clouds are organized. Each main type of cloud is described, then the variants of each are given. There are plenty of photos exemplifying the different clouds. I found this method to be an easy way to learn about clouds. The author also sends the reader to a website for "cloud collecting", which is interesting and fun. I love this book! My 10-year-old loves to help me spot clouds. I received it a couple days before a 2-week road trip, and I had such an enjoyable time reading through the book, looking at the pictures, and trying to identify what I was seeing. It's a fun idea--cloud collecting, and I have a new hobby because of this book. Great quality of photos, pages, and binding. I carry it with me all the time, and it's still in great shape. I'd recommend this book to anyone who appreciates the sky, clouds, or nature. It's a bargin gift, too. 4.0 颗星，最多 5 颗星Excellent in content, despite poorly-executed cover art. I have a nephew obsessed with weather and cloud formations. He likes to tell me what clouds he's recently seen. This book is 'way cool' for the weather buff in your life. It has a checklist and a fun "point" scale for scoring your sky-viewing. Very detailed, great pictures- lots of good science on the formations and what conditions are needed to generate them. I would easily give this book five-stars, except for the oddly generic and badly colored cover art. It's a god-awful pinky-orange hue that didn't really do the contents justice. Would definitely recommend despite this, but I hope they do something different with the cover for future editions. ALWAYS in car where so many oddities have been seen in cloud formation. You can tally points for rarities I saw 1st time out, a two-hour trip. Living near one of Great Lakes all my life (on shoreline now) and just an hour from another Great gives ample opps. Fun to have on Kindle which travels along anywhere, can switch from whatever I am reading to this. 5.0 颗星，最多 5 颗星A real asset for sky-watching! The author's prose style is slightly annoying, but that's a very minor flaw in this case. This book is informative, thorough enough for simpletons like me, & offers great photos & cross-references! Size, proportions, & material quality are all excellent. I cherished this book within 30 minutes of opening it.